Hey erzählt doch mal, sammelt ihr auch Modell-Mitsubishis? 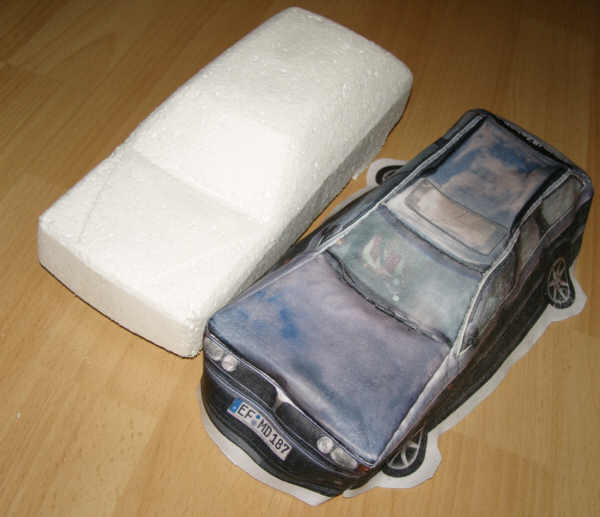 Egal ob von Rietze oder Wiking, oder von Matchbox/Hot Wheels, wenn ja, was habt ihr für Modelle und wie viele? Responsible for any content, image rights and attachments of this posting at (Monday, December 22nd 2008, 6:09pm) is the author Colt-Cordia himself. Responsible for any content, image rights and attachments of this posting at (Monday, December 22nd 2008, 7:02pm) is the author Meyo himself. Bei mir ist die Mitsu Sammelleidenschaft eher gering, da mein eigener nicht als Modell erhältlich ist. Was macht man da? Man erfindet selber eins. Hab meinen Sigi von allen Seiten fotografiert. Dann die Bilder zurechtgepixelt, auf Transferfolie gedruckt, auf ein altes Tshirt gebügelt und komplett von Hand zusammengenäht. Dass das Modell (wie bei mir üblich) statt gezeichnet zu sein, aus echten Fotos besteht, sieht man daran, dass sich im Modell Wolken spiegeln. Und sogar mein Binchen ist auf dem Beifahrersitz zu sehen. Der Kern ist aus zurechtgeschliffenem Styropor, zusätzlich mit einer Lage 5 mm Schaumgummi überzogen. Responsible for any content, image rights and attachments of this posting at (Monday, December 22nd 2008, 7:56pm) is the author MAT himself. 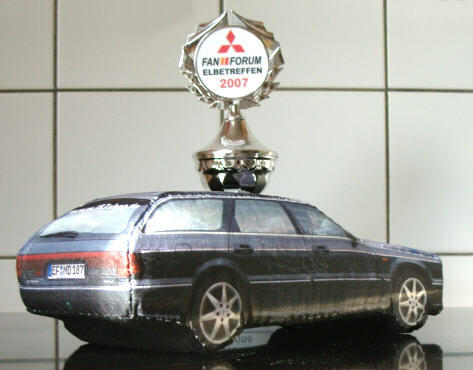 Auserdem noch einen EVO VI von den Minichamps. Da habsch aber grade kein Bild. Responsible for any content, image rights and attachments of this posting at (Monday, December 22nd 2008, 8:13pm) is the author Brixton himself. also ich hab weit über 100 Modell-Mitsubishi, vom 1/87er Rietze,über Japan-Importe von Tomy bis hin zu einem China-Galant in 1/18. Hab auch einiges an Raritäten, z.B. ein Modell A oder viele Youngtimer von Diapet/Yonezawa aus Japan in 1/40. Wäre mir jetzt allerdings zu stressig, alle Modelle aufzuzählen. Ereähnenswert wäre z.B. noch ein 1/43er Gassner-Evo, den gabs wohl nur 50 oder 60 mal insgesamt. Responsible for any content, image rights and attachments of this posting at (Tuesday, December 23rd 2008, 10:33am) is the author Homer_MCSM himself. Responsible for any content, image rights and attachments of this posting at (Tuesday, December 23rd 2008, 1:27pm) is the author west29 himself. Responsible for any content, image rights and attachments of this posting at (Tuesday, December 23rd 2008, 2:16pm) is the author Brixton himself. Ich hab nur ein Pajero-Mini in 1:43 von Mtech und einen Carisma GLS in blau von Mitsubishi direkt. Responsible for any content, image rights and attachments of this posting at (Tuesday, December 23rd 2008, 2:30pm) is the author LE-Carisma himself. Responsible for any content, image rights and attachments of this posting at (Tuesday, December 23rd 2008, 5:32pm) is the author MAT himself. Responsible for any content, image rights and attachments of this posting at (Tuesday, December 23rd 2008, 5:50pm) is the author west29 himself. Dann muß ich nicht alles neu aufzählen. Ich werd jetzt mal Inventur machen und schauen, ob ich dieses Jahr die 400er Schallmauer durchbrochen habe! Mein konto und meine Regierung meinen das schon! ... werde euch Bericht erstaten! Responsible for any content, image rights and attachments of this posting at (Thursday, December 25th 2008, 8:12pm) is the author Mitsulangi himself. Responsible for any content, image rights and attachments of this posting at (Thursday, December 25th 2008, 9:54pm) is the author ccc himself. 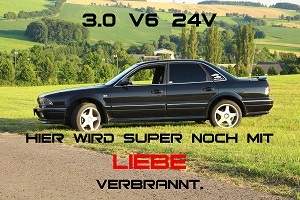 Einschließlich der beiden Modelle, die gerade noch unterwegs sind besteht meine Sammlung nun aus 350 Mitsubishi Modellen! Leider sind meine Vitrinen zu klein und und ich mußte einen Teil in Kartons packen. Responsible for any content, image rights and attachments of this posting at (Tuesday, January 20th 2009, 10:56pm) is the author Mitsulangi himself. Wirst Dich wohl in nem Heimwerkerforum registrieren müssen - damit Du neue Vitrinen bauen kannst. Alter Schwede! Hut ab vor so einer Sammlung! Ich hab nur ein Modell. Abder das hab nur ich. Responsible for any content, image rights and attachments of this posting at (Wednesday, January 21st 2009, 12:35am) is the author MAT himself. Responsible for any content, image rights and attachments of this posting at (Tuesday, February 17th 2015, 2:18pm) is the author atomgnom himself. Responsible for any content, image rights and attachments of this posting at (Tuesday, February 17th 2015, 2:41pm) is the author Kubus1205 himself. Ich sammle nicht, habe aber auch paar, die in der Stube einstauben. Responsible for any content, image rights and attachments of this posting at (Thursday, February 19th 2015, 7:22pm) is the author Peter_V6 himself. Lancer Evolution VIII und einen ASX-Transformer hab ich in der Glasvitrine stehen. Responsible for any content, image rights and attachments of this posting at (Thursday, February 19th 2015, 7:31pm) is the author Dogcatcher himself. Responsible for any content, image rights and attachments of this posting at (Thursday, February 19th 2015, 8:45pm) is the author Rennsemmel94 himself. Responsible for any content, image rights and attachments of this posting at (Saturday, February 21st 2015, 12:16pm) is the author Gugga himself.